Dhaka, 21 Jan, Abnews: According to an agreement with the Saudi Arabia government, a total of 1,27,198 Bangladeshi pilgrims will perform holy Hajj this year. 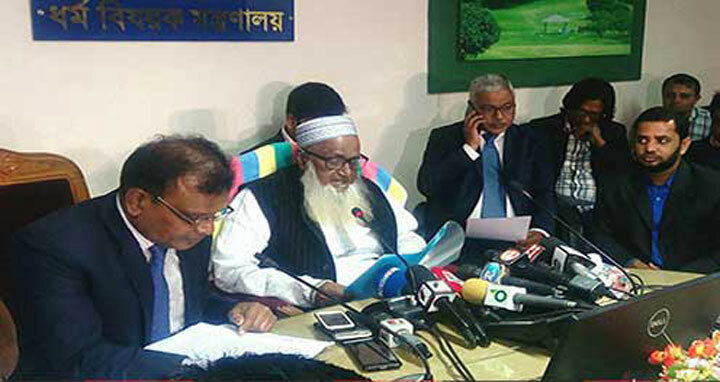 Minister for Religious Affairs Principal Motiur Rahman said while talking to media at his ministry on Sunday. He said a total of 1,20,00 pilgrims would perform Hajj in private management, while the number under government management would be 7,198. Secretary of the ministry Anisur Rahman and other senior officials were present at the press briefing.